I bought this case as a gift for my husband. I had it monogrammed and was still able to receive it quickly. My husband is very happy with the quality of the product. I could not be happier with this card case as my wallet. I honestly wouldn't change anything about it. The center pocket is the perfect height for folded those and the outside pockets are wide enough for business cards. 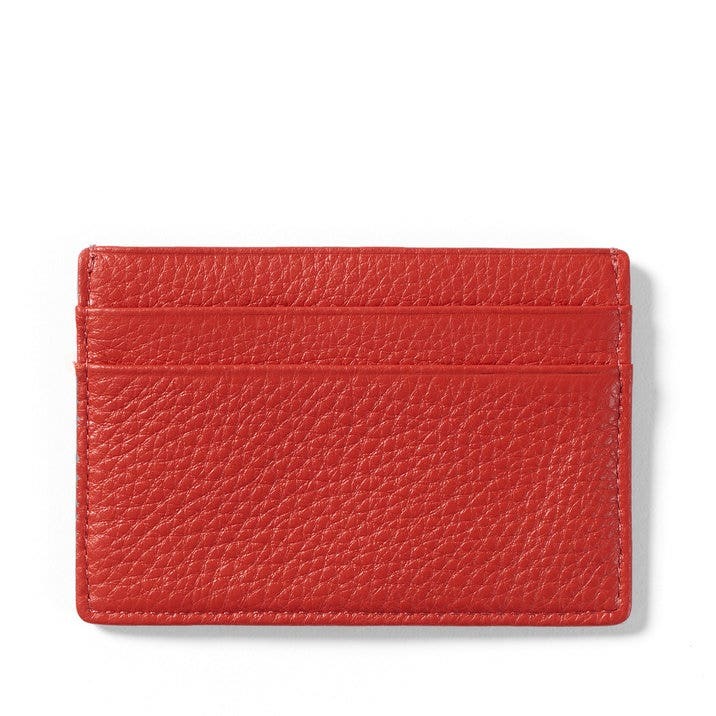 The leather is thin enough to keep the wallet slim and thick enough to not be flimsy. 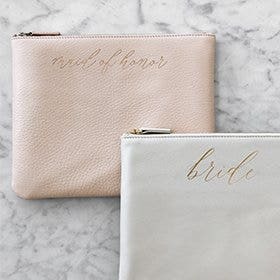 I ordered this leather card case with silver hot stamped initials, and it looks great! The leather feels of excellent quality and the silver initials are very clear and precise. My friend was very happy with this birthday gift. The only thing I would request is that there be more color options. 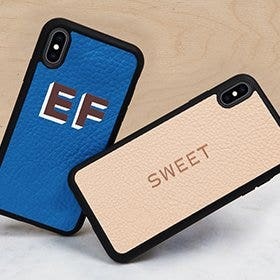 The blue leather option was a nice variant from the rest of the colors, but more vibrant color options would make this product even greater!. Got this case as a gift - monogram and product look great, shipped incredibly fast! 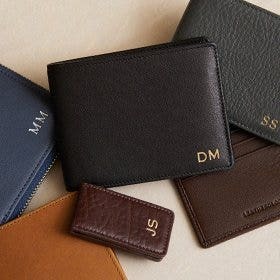 I ordered this card case in chocolate brown for my husband and had it monogrammed. 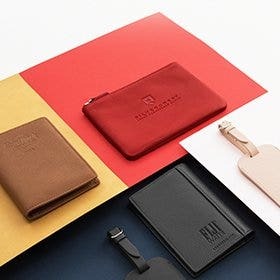 I thought the price was very fair for a leather wallet, and when I received the package I was quite impressed at the buttery leather, quality product, and careful packaging! It made a great gift! Quality is excellent. 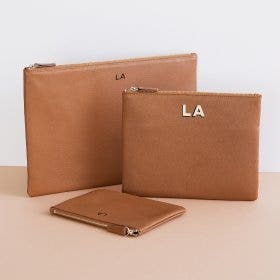 It is a minimalistic wallet, but it has enough room to be functional. 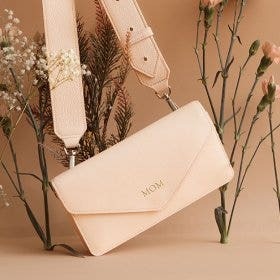 This is a beautiful slim wallet. There is a pocket in the middle for dollar bills. The quality of the leather is rich a soft. Worth $50. Go for the Saffiano Leather! I am really disappointed by this product and I am hoping my recipient won't be terribly disappointed when I gift it to him at Christmas. 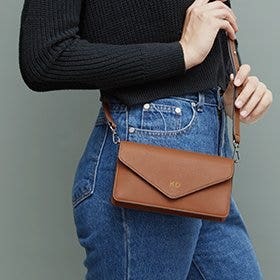 The regular leather is really thin and almost flimsy (I expected it would be sort of rough and with age over time soften up a bit) but this will just deteriorate way sooner than I expect it to I am sure. The ONLY reason I didn't upgrade to the higher quality Saffiano leather is because I didn't think silver embossing would be seen clearly on the black cross hatching of Saffiano leather. I really, really wish I had because now the item isn't returnable after it's been customized. 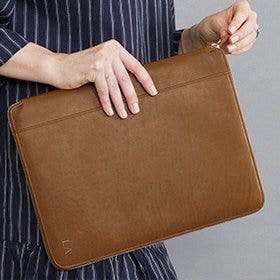 I really feel like I wasted a lot of money and if I do purchase again from Leatherology I'll get the higher quality option!